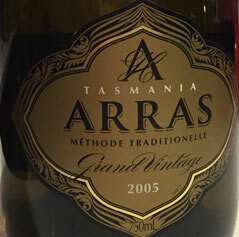 Australia makes some world class wines, along with a sea of good value but industrial type “plonk.” The variety is something not well understood by many; for example while many Shiraz are big giant wines, many from near Canberra are much closer to Northern Rhones such as Hermitage in style. I’m writing this from Australia, where I had the chance to try some of their sparkling wines, going off of local advice and trying some of the wines that may or may not be exported to get a good sense of the possibilities and beyond. Australian makes both white and red sparkling wines (I’ll include the roses with the whites for this categorization). I have been horrified by sparkling shiraz in the past, and I mean as in undrinkable. They also use cabernet and merlot. I did not try any on this trip due to time constrains and maybe they make some decent ones? I’ll be back to find out. (Many of these were traditionally called “sparkling burgundy” although Pinot Noir has rarely been used). no one encouraged me to try any. 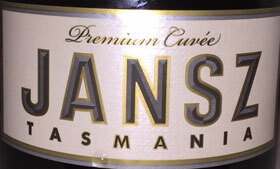 The cool regions of Australia make very nice sparklers, especially Tasmania but also in South Australia and Victoria. About 30% are made from the traditional Method Champenoise. 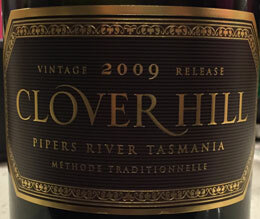 TN: Clover Hill Pipers River Tasmania 2009 - June 2015, rated B/B+ and the favorite of one of my hosts. Pipers River Tasmania. Made with Pinot Noir, Pinot Meunier, and Chardonnay by the Method Champenoise, whole bunch pressed, fermented in small batches, and allowed to mature on its lees for 3+ years. The nose was lemon, lime, a touch of peaches, orange, and crushed stones. On the palate there was good acidity, it was lively on the palate, with lemon, a bit of tangerine, lemon, and a nice creaminess as it warmed. A little young and sharp yet still lovely and I'm betting it'll get better with a few years of of age. 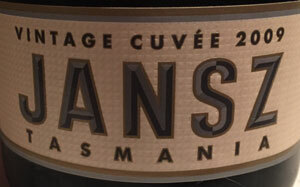 69.2 % Chardonnay and 30.8% Pinot Noir from the upper and lower Derwent Valley, Tasmania and made by the Method Champenoise. A lovely maritime nose with plenty of minerals. The palate has some orange citrus, saline, extremely well balanced. Tinge of starfruit at the end. Nice warm glow on the noise and palate. 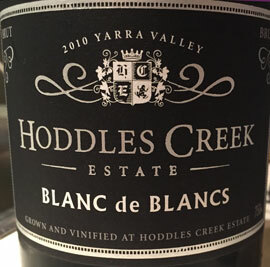 Good but lacks the zip needed for a higher score; quite young and may improve as it ages. Their first vintage and impressive. Hand picked fruit and whole cluster pressed. 100% barrel aged, minimal intervention. The nose starts on the simplistic side with only fresh cut apple along with pear and a wee bit of pineapple after a while. The plate has fresh cut apple, a touch of orange, some pear, and a little unsweetened pineapple. This got better and better with air and may ultimately rate a higher score. Hand harvested, minimal/no filtration, aged in French oak, made by the Method Champenoise, left on on lees for four years and disgorged in October 2014. The nose is golden apple, a little chalk, and slight maritime notes. On the palate, delicate apple, lemon, lemon curd, cream, with lots of minerality. Pipers River Tasmania. 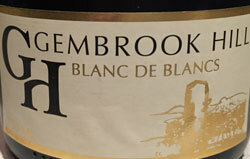 53% Chardonnay and 47% Pinot Noir, aged 4 1/2 years on its lees and made via the Method Champenoise. Nose has a little earth, orange, apples, and minerals. The palate has expansive spicy Granny Smith apple peel, a touch of orange, lemon, and lovely balance and mouthfeel. This would have rated much higher if the nose had delivered more. The nose had some earth, orange, apple, and some minerals. The palate had expansive and spicy Granny Smith apple peel, a touch of orange, lemon, and a lovely balance and mouthfeel.